Our ankle supports fitted with reinforcement straps to offer strong support and stabilization for the ankle tendons and joints. also helps to relieve edema and symptoms associated with acute injuries. Why open heel and dual adjustable belts design? 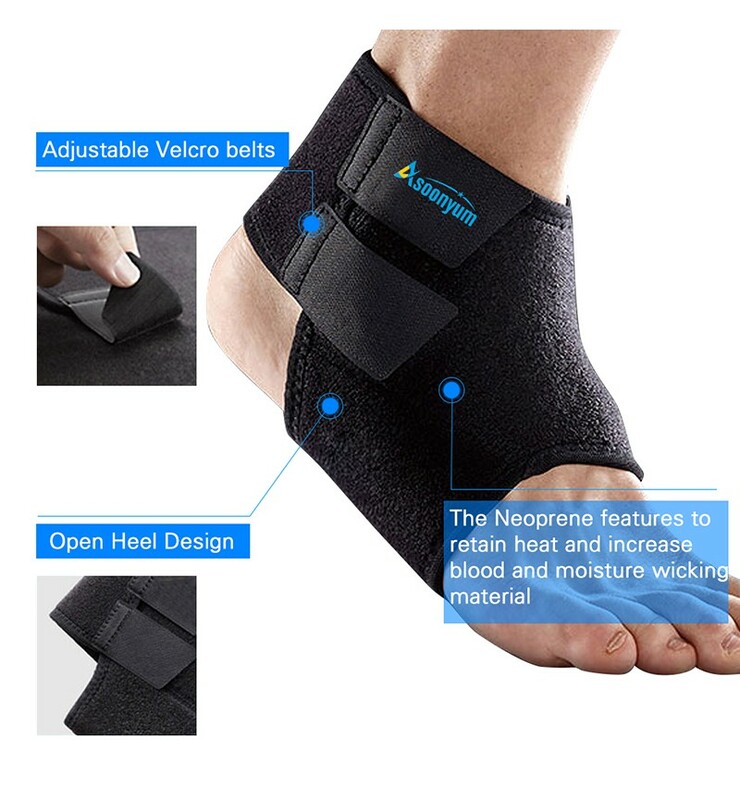 - Open Heel offer Ultra-strong Ankle stabilization between the Achilles tendon and joints, prevent the ankle swelling because of friction. 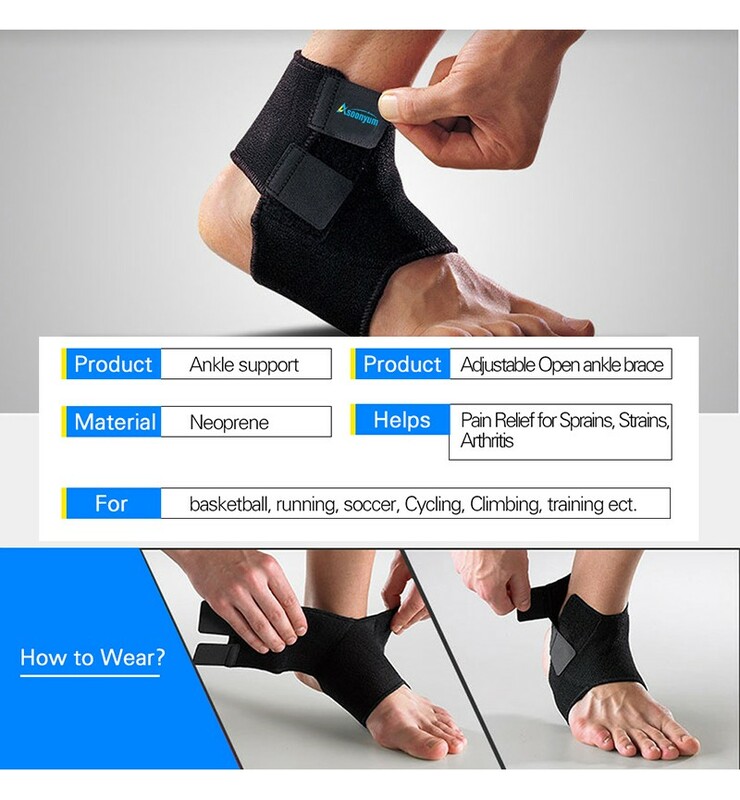 Double Straps helps close lock your ankle, reduce ankle sprains and fatigue. Perfect for post-surgery recovery, strains, arthritis injury recovery and injury prevention. Adjustable Sprained Ankle - Unique Double Hook & Loop belts for comfort adjust. 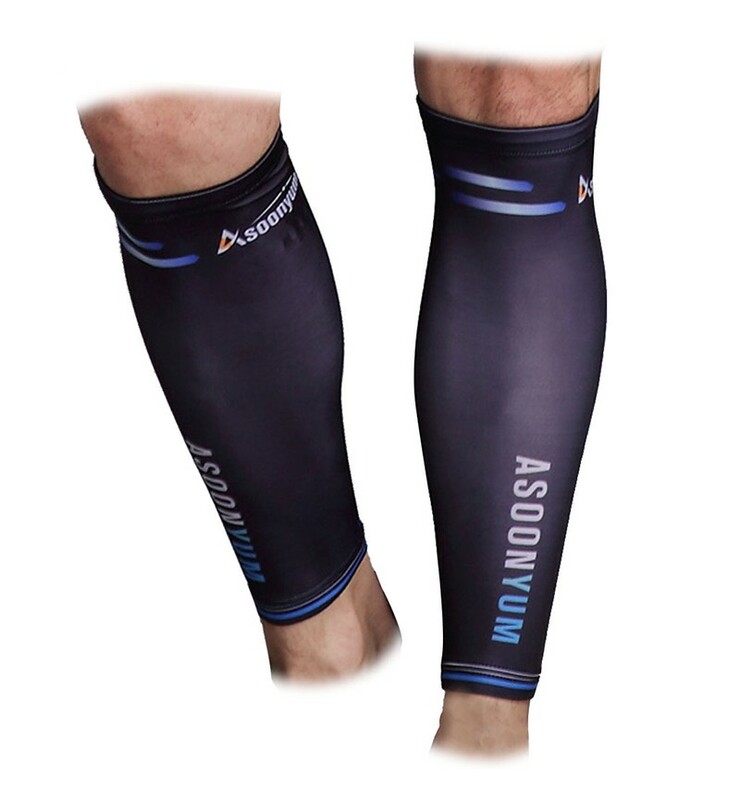 Perfect for compression Foot Sleeve. What's Neoprene? 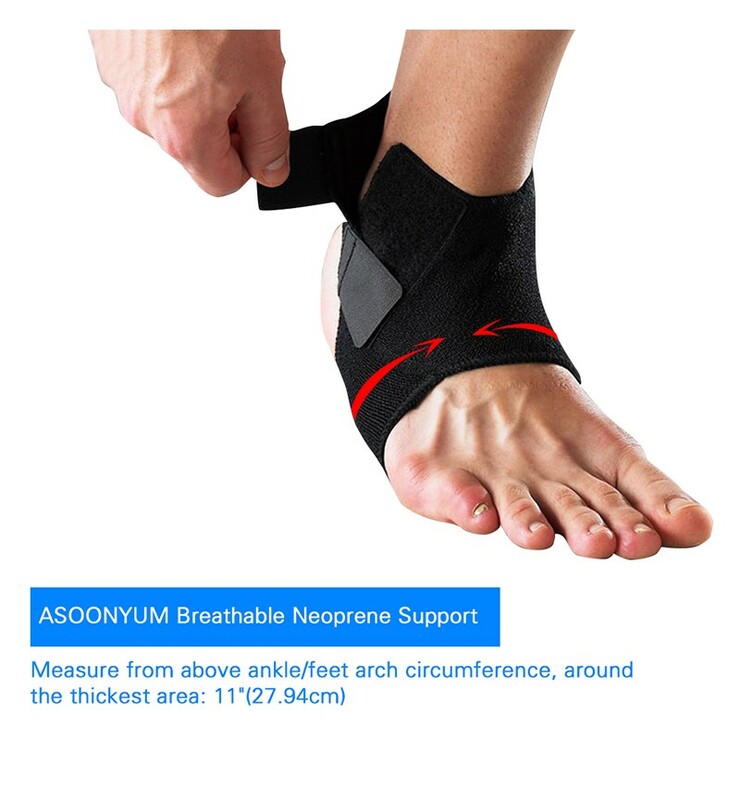 - It's toughness material, make the ankle properly generated compression to reduce of injuries and helps recovery sprained. 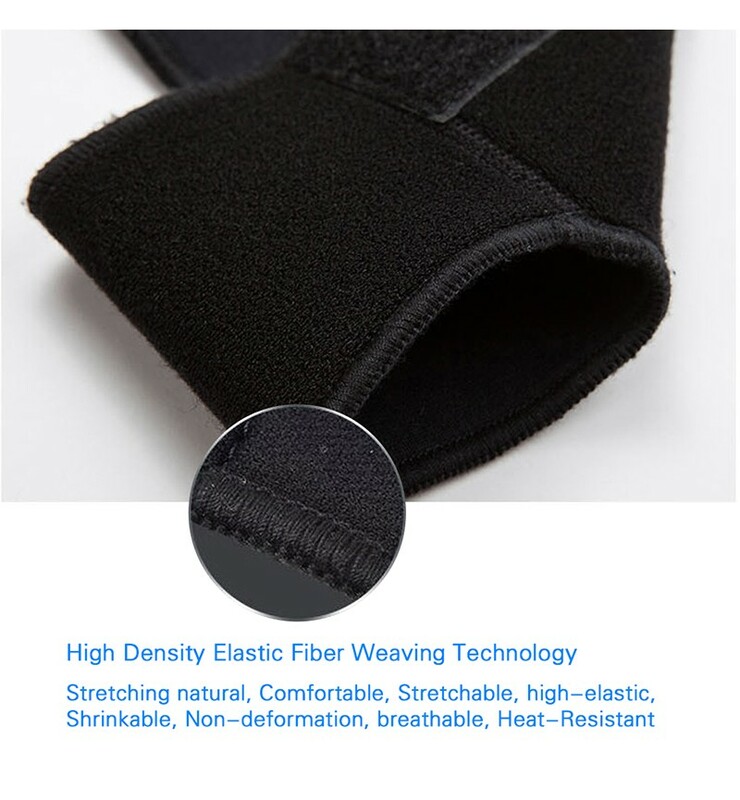 The Neoprene also features to retain heat and increase blood and moisture wicking material prevent bacteria from breeding. Who needs? - Perfect for post-surgery recovery, strains, arthritis injury recovery and injury prevention. Ideal for sports athletes that strain their ankles during exercise. One Size fits most and up to 11" in feet arch circumference, Design for basketball, running, soccer, Cycling, Climbing and training.